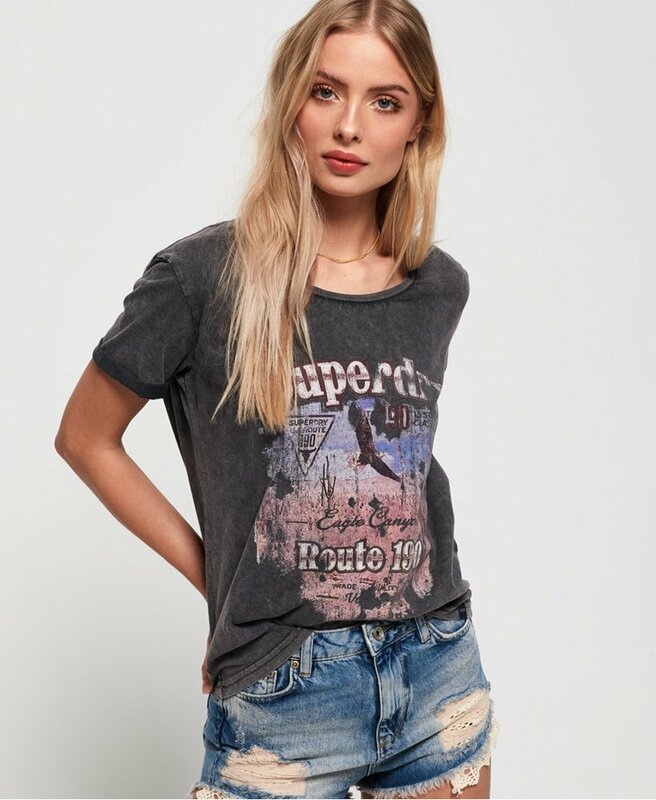 Superdry women’s Vintage roadie t-shirt. This tee has been cut to a boxy fit, making it perfect for the everyday. It features a crew neckline, rolled short sleeves and a large Superdry logo across the chest. To complete, this tee has a Superdry tab on the hem for the perfect finishing touch. Pair this tee with your favourite jeans and trainers for a timeless look this season.